Any auto accident is inconvenient, but a serious car crash is life-altering. Of the thousands of collisions that happen on Michigan highways every year, many result in property damage alone. But far too many car accidents result in the loss of life or severe personal injury. 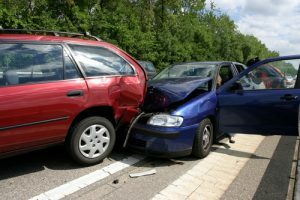 Even the car accidents that appear to be minor fender-benders can result in bodily injuries, mental and emotional challenges, and financial difficulties. If you have been injured in an auto accident, or if your life has been impacted by the loss of a loved one in a fatal accident, you may be entitled to monetary compensation. Don’t agree to a settlement, sign any papers, or even talk to your insurance company until you’ve spoken with your Michigan auto accident lawyer. While most people can work out the details of an auto accident and quickly get back to a normal routine, others are not so fortunate. Suffering an injury in an auto accident impacts your ability to function normally in your daily life and can change the entire course of your existence. Major complications caused by a car crash, such as a traumatic brain injury, broken bones, or spinal injuries, require healing time, multiple doctor’s appointments, therapy, and more. Medical bills add up and time off from work can be hard to come by, if you’re able to continue to work at all. Not only do auto accident injuries cause physical, emotional, and mental suffering, they can negatively impact your ability to provide for your family, engage with others, and live life as usual. Do You Have an Auto Accident Claim? You must have automobile insurance as a Michigan driver. If you do not have auto insurance, you cannot sue the at-fault driver for pain and suffering damages. You must provide evidence of serious injury through medical imaging and/or the testimony of a doctor. You must prove that your injury has negatively impacted your life. In a first-party claim, your Michigan car accident lawyer will help you sue your car insurance provider for medical expenses, lost wages, and other no-fault benefits. In a third-party claim, a separate case will be brought against the person who caused the auto accident and/or their insurance company to seek compensation for your pain and suffering. Injuries suffered in an auto accident can reverberate throughout your life for weeks, months, or years. For some, injuries are immediate, intense, and long-lasting. Others, particularly those who suffer undiagnosed or misdiagnosed traumatic brain injuries, may not discover their injuries until days or weeks after the crash. Healing from auto accident injuries can take a great deal of time and is punctuated by medical costs and demands. Some people are altered permanently because of an auto accident. And many families are forever fractured because they lost a loved one in an auto accident. All car accidents are traumatic in their own way, and every case is just as important as the next because lives have been changed. If you have been injured in a Michigan auto accident or lost someone in a car crash, contact Thurswell Law for a free consultation with an auto accident lawyer. We understand the stress and challenges that you and your family are dealing with, and it is our job to guide you through the claims process and give you the best possible chance to receive full compensation for your suffering. There are no fees unless you collect. Call us at (248) 354-2222 to schedule your free consultation.